Happy New Year! One great thing about living in the future (Japan) is that I get to celebrate all the holidays, twice. I don't do New Year's resolutions. But, for 2017, whatever comes my way or I set out to accomplish, I want to push myself even harder, take myself out of any comfort zone, and choose the most challenging path. I have several ideas of what I want to do with the blog, but instead of writing about them, I'll just show you through the posts. 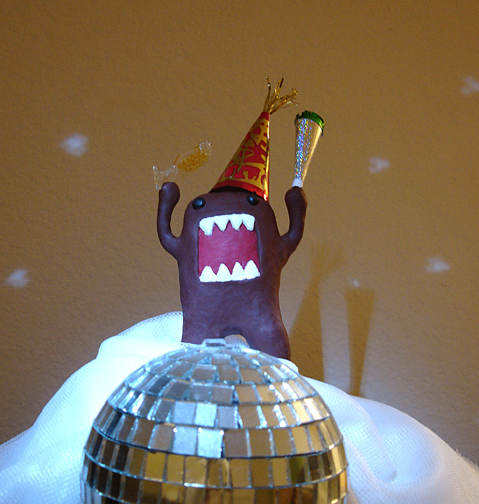 I hope you had/are having a wonderful, sparkly celebration with the ones you love. May every day of 2017 glow as brilliantly as your highlighter, and be filled with many joyous wonders, like a new beauty collection. Enjoying a cup of hot cocoa and these adorable bear coasters I purchased at this home goods boutique near my place. Thank you Melody. Hope you had a blessed holiday season. I need to take myself out of my comfort zone more too. Spent time with friends :) Hope your holiday was wonderful!